Since the game is partially set in the sky, any chance Epona is a Pegasus? 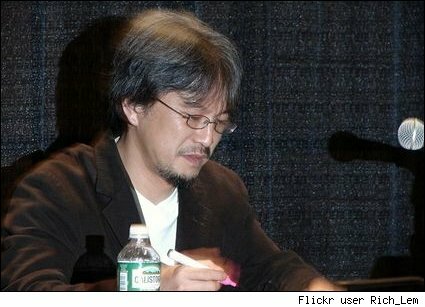 Aonuma – [Laughs] I hadn’t thought of that! You surprised me with that one! Of course, you know, Link does have to travel between Skyloft and the land below, and back and forth, so he’s obviously going to have to do that via some sort of conveyance. That being said, I’d like to reveal that at a later time, so I don’t want to give away too much other than to say that he is going to be traveling between the two. However, I can guarentee he’s not going to be flying around like [Pit from] Kid Icarus! Some very interesting details. So the demo area is actually part of the field, yet it contains a boss fight? The demo area IS part of the game, even though previously it was stated it wasn’t? Treasure seeking sword? Just more fuel to the ever growing speculative fire.